You know when you went back to school and your mom put your name in everything? Your lunch box, the tags of your sweater, your backpack, you name it. If your name was in/on it was all yours; and I feel like that was where my love of personalized things started. This monogram says this is mine, so there. Perhaps its childish or perhaps its stylish, or maybe, just maybe its the best combination of both. 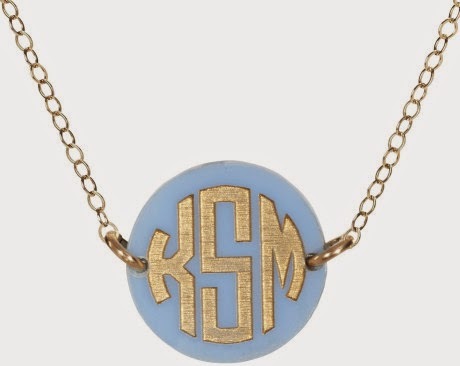 Today we're checking out some monogram necklaces. How lovely is this piece? I love the light blue canvas. I am a sucker for tortoise because you can wear it with anything. 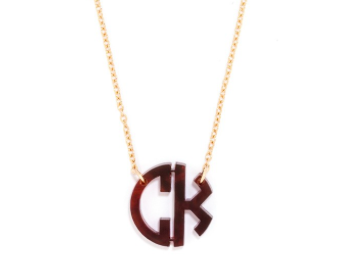 This necklace goes with a dress, a tee shirt, or even a suit. How about this heavier option? I love the preppy style. And now for the classic option. 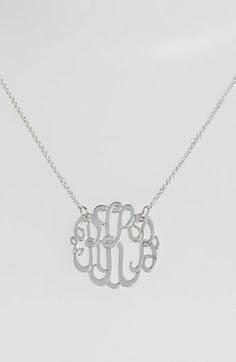 This designed is exclusive to Nordstrom and the romantic script is perfect in silver or gold. 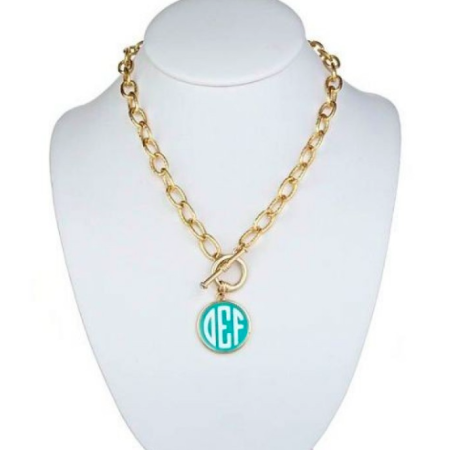 The monogram necklace is the stylish way to say this is all yours. Personalized jewelry make a great gift for a bride, grad, or yourself.